What is software process? What are the 4 activities of software process framework? Software Process is a set of required activities and the outcome of the activities with a target to produce a software product. A software process is a flowchart of developing a software product, which includes fathering requirements, analyzing those requirements, scheduling development phases, checking the developments, implementing changes etc. and this can be till the delivery of the final software product to the after delivery service methods and more. The customer (if any) and the engineers gathers and analyze the features, workflow, operational constraints or limitations of the final software product. This part is common in every all software process despite of how big or small, simple or complex the software product is. After all the specifications, goals for the software product are fixed, engineers starts developing the software which not only includes coding but also gathering required artworks, audio and visual elements for the software product. Read More: Explain software design and implementation activity. Software product must be checked for existing bugs, incomplete or unavailable features etc. 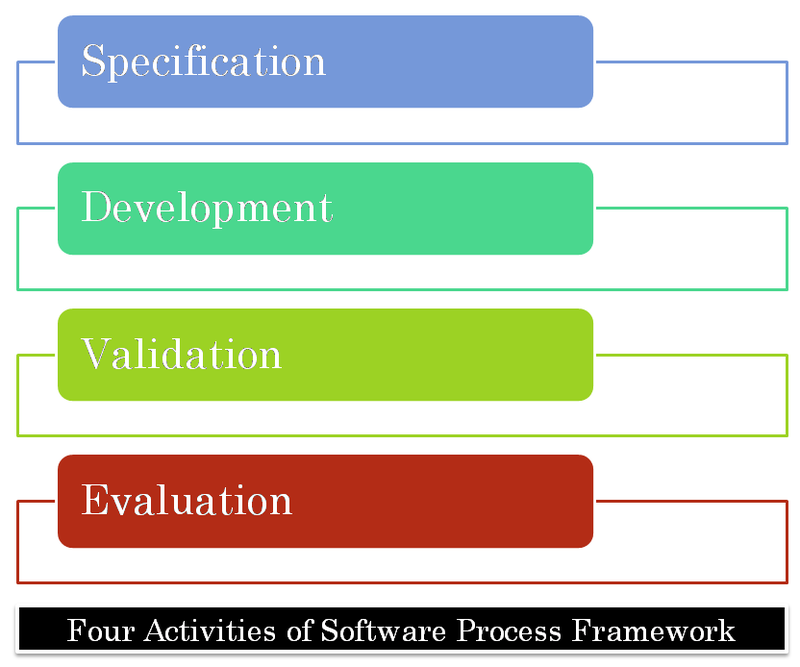 However, software validation can be done after software development in case of small software, but can also done multiple times (milestones) during the software development phase. A software product can take years to being developed. In the meantime, specifications, feature requirements etc. can be changed or added or can be required to remove from the software product. Thus this is where the software will be modified to accept those changes. There exists various software process model which presents different approaches to software product development which depends on the software that has to be developed. Learn about various software process model.